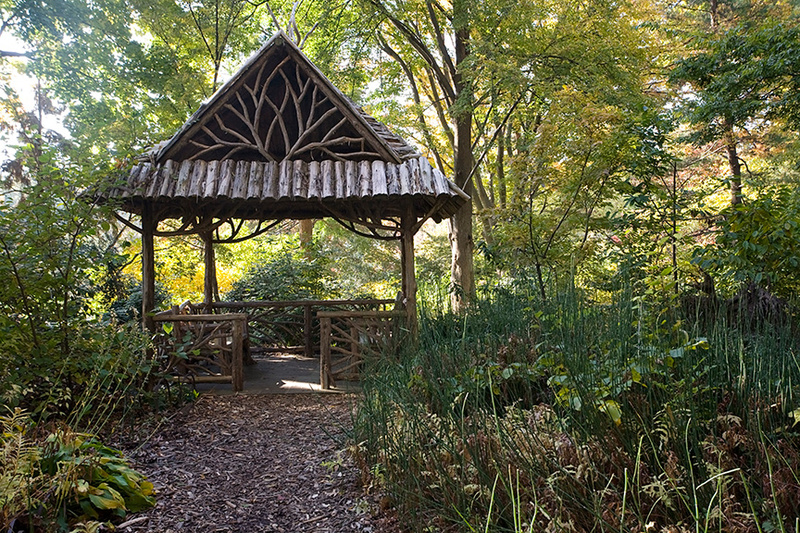 Situated between the Lichtenstein Victorian District and the Japanese Garden, visitors step into a shaded patch of tranquility known as the Cherbonnier English Woodland Garden. 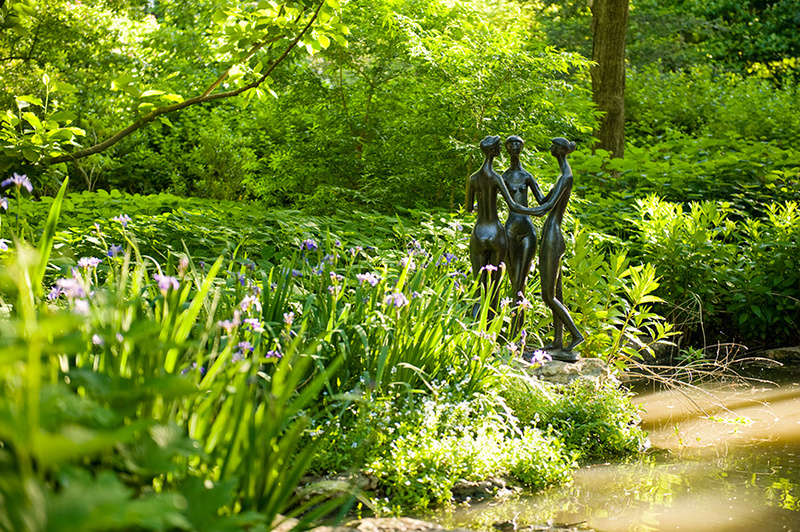 Beneath a canopy of trees, more than 300 rhododendrons and azaleas and 100 dogwoods burst into bloom each spring, while clusters of wildflowers, hydrangeas and perennials provide surprising splashes of color against the background music of a babbling brook. The garden peaks around the second week of April, when the dogwoods, wildflowers and other spring blooms are out. 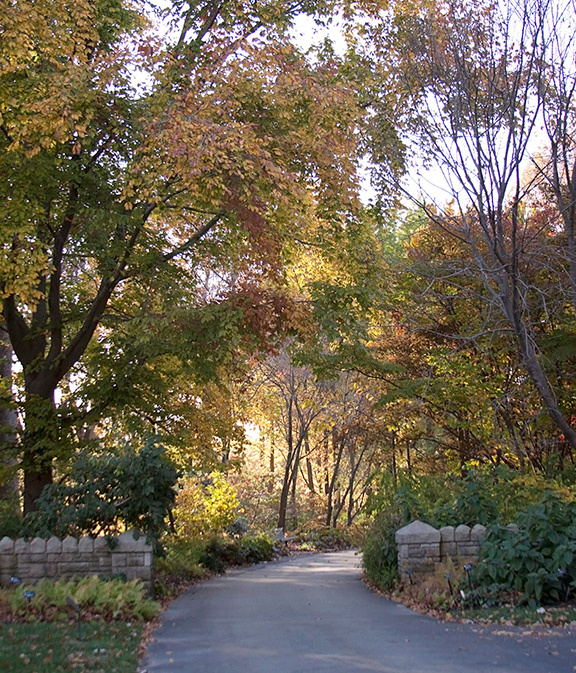 However, the overall shade of the garden promotes a sense of serenity and makes the area a popular refuge during all seasons. 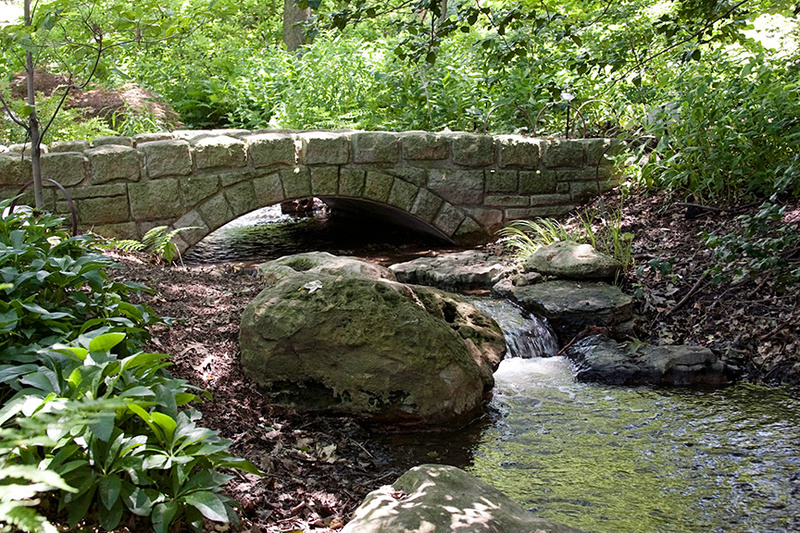 A key attraction of the English Woodland Garden is the meandering brook that flows from a pool in the northeast corner, under several limestone bridges and into the Japanese Garden lake by way of a waterfall. Visitors can track the stream on a winding path of stepping stones, observing the streamside plantings of primroses, ferns, cardinal flowers and some ground orchids. Over 400 limestone boulders are carefully placed along the streambed, providing a further naturalistic component. A second water feature is a bog display of plants that thrive in wet soils or aquatic habitats. In bloom this month at the Garden: Chinese redbuds, flowering dogwoods, tulips, mountain bluet and azaleas.